My journeys through Asia always turn out to be spiritual also. Standing at sacred places and marveling at the magnificent temples I feel connected with something which is much greater then myself. And old wisdom, a divine presence, the ancient sacred places speak to me. This divine presence or divine guidance has always spoken to inspired people, who have been called the son of God, or the son of heaven etc. As an example the pharaohs of ancient Egypt and the Chinese emperors. Inspired with a divine vision they have left us with a magnificent heritage. As the Unesco, who guards many of these monuments, expresses so beautifully: 'monuments bearing witness to man’s creative genius, his struggles, hopes, aspiration and vision of the world'. This vision of the world is so important, because it is this vision, which as a guiding light, can bring humanity to new way of living. This new vision is very much needed in this world, where the old belief systems, leading so much to exploitation of this earth and of the beings on it, are crumbling down. I hope that my pictures can transmit some of the energy I felt. 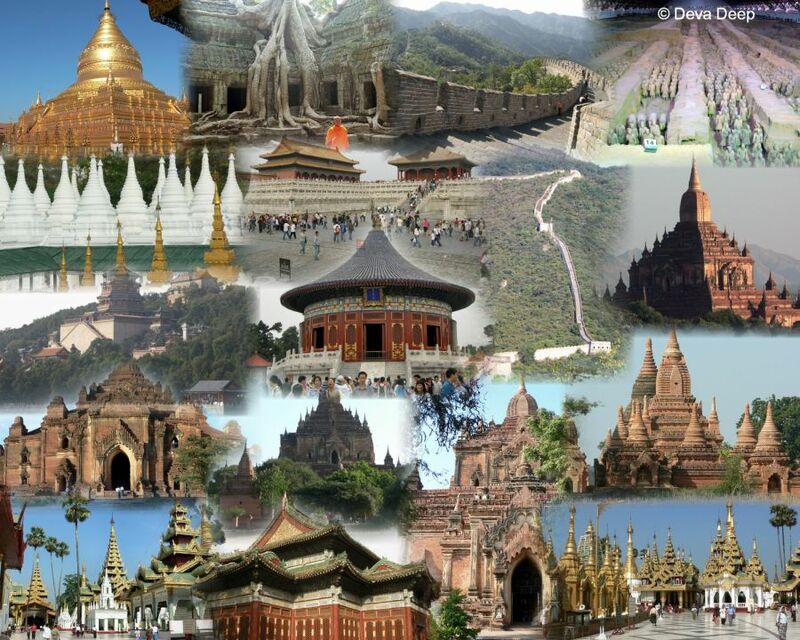 On my spiritual journeys site I want to share with you my experiences on these journeys in Asia. You will find there my vision of what is important to reach a new step in the evolution of humankind. This can help you also to discover more about how to unfold your own potential and experience that indeed everything is possible. You can embark on your own spiritual journey. As the Buddha said already 2500 years ago: "You are creating your own world".